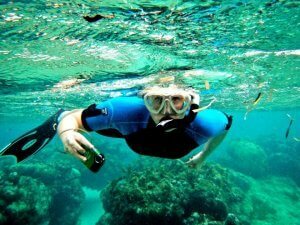 I came to Monmouth University as a Biology major, and quickly realized that the Marine and Environmental Biology and Policy (MEBP) program was where I belonged. I’ve always been passionate about the environment and I grew up going to the Jersey shore every summer, so Monmouth was truly a perfect fit. The School of Science provided hands on coursework, with passionate professors who cared about their student’s success. With the guidance and support from the wonderful faculty and staff, I was able to explore the wide range of opportunities that the MEBP program had to offer. One of the best experiences I had was taking John Tiedemann’s Tropical Island Ecology course at the Cape Eleuthera Institute in Eleuthera, Bahamas. The course was immersive, and emphasized the connectivity and challenges facing coastal ecosystems. In addition to an array of courses, I was able to work on projects examining the ecology of macrozooplankon in Upper Barnegat Bay, NJ and diamond back terrapins along the NJ shoreline. Additionally, the MEBP program facilitated an internship opportunity for me with the New Jersey Division of Fish and Wildlife for the monitoring of endangered nesting shore birds. I went on to a graduate program at the University of West Florida where I received a Master of Science in Biology and completed my thesis, Bacterioplankton community response to solar radiation and crude oil in the northeastern Gulf of Mexico. My thesis and research assistant experiences were done as a part of two consortia in the Gulf of Mexico Research Initiative, focusing on ecosystem health in the Gulf of Mexico after the Deep Water Horizon Oil Spill. 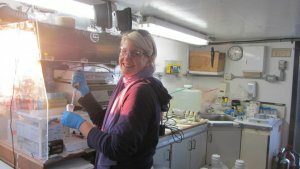 As part of these projects, I participated in multiple oceanographic research cruises where I performed sampling techniques including radioisotope incorporation to measure bacterial and primary production. A majority of my work also included the study and classification of microbial communities using molecular techniques and bioinformatics analysis. Upon completion of my masters, I went on to work as a laboratory technician studying fish health for the NJ Division of Fish and Wildlife. I worked for the Ecology and Evolutionary Biology Department at Princeton University as a Research Specialist in their teaching laboratory. I am currently employed as a laboratory technician at Bayshore Regional Sewerage Authority where I perform bacteriological, chemical, and physical analysis of wastewater to ensure plant effluent meets regulatory requirements. 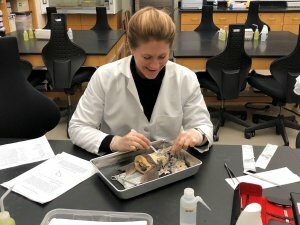 I truly believe the School of Science at Monmouth University goes above and beyond to provide an exceptional learning environment for students. I am grateful to have built a solid foundation for my career starting at Monmouth University.